There is a Android/iOS app called "Paytm Canada", and you can pay most of the bills through this app. The good thing is you can link your MasterCard to pay the bill, so you will get cashback/points which are not common when paying certain types of bills. If you are already a Paytm customer, now it is a good time to introduce Paytm services to your friends. You'll earn $20 (normal referral bonus was $10) when your friend signs-up, with your referral code, and successfully completes a bill payment of at least $50. Your friend will also receive $10. Offer ends on March 9, 2018. You can earn $5 statement credit when you use your AmEx card to make a My McD's mobile order. This offer is targeted. I got it for my AmEx Cobalt Card. You can check your email box for it. Online registration is required (only the first 15000 cards are eligible for this offer). You can earn 3 Aeroplan miles for each dollar spent on costco.ca before Mar 25, 2018. Please use the promo code "AERO3" at checkout. Between March 1 and June 30, 2018 you could get an exclusive rate when you enrol. The promo rate is 1.7% or 2.5%, and it starts March 1, 2018. You’ll earn interest on eligible deposits made between November 1, 2017 and June 30, 2018. That means you’ll earn interest on deposits you’ve already made – plus on new deposits (so, no need to move money around)! The offer is available by invitation only to select Simplii Financial High Interest Savings Account or Savings Account holders who enrol between March 1, 2018 and June 30, 2018. The special interest rate is a combination of promotional and regular annual interest rate and is paid on qualifying deposits made to a Simplii Financial High Interest Savings Account or Savings Account between November 1, 2017 and June 30, 2018. Discount only applies only to the base fare (excludes taxes, fees and charges). Not combinable with other discount codes or companion vouchers. Not valid on WestJet Vacations packages. To receive your discount, be sure to enter your coupon code and flight details into the booking tool. 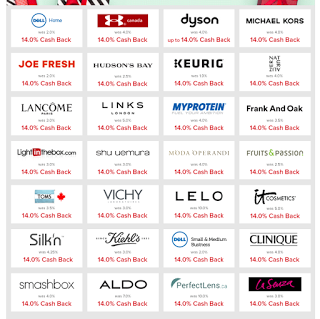 To celebrate the valentines day, you may earn 14% cash back from many stores through ebates.ca. I guess because it is Feb 14, so they choose 14% cash back? You can get 15% more bonus WestJet dollars when you convert your RBC Rewards points between now and Feb 28, 2018. That’s 1.15 WestJet dollars for every RBC Rewards point converted. Note: Promotional bonus WestJet dollars expire one year from date of issue. A minimum of 1,000 RBC Rewards points must be converted each time. 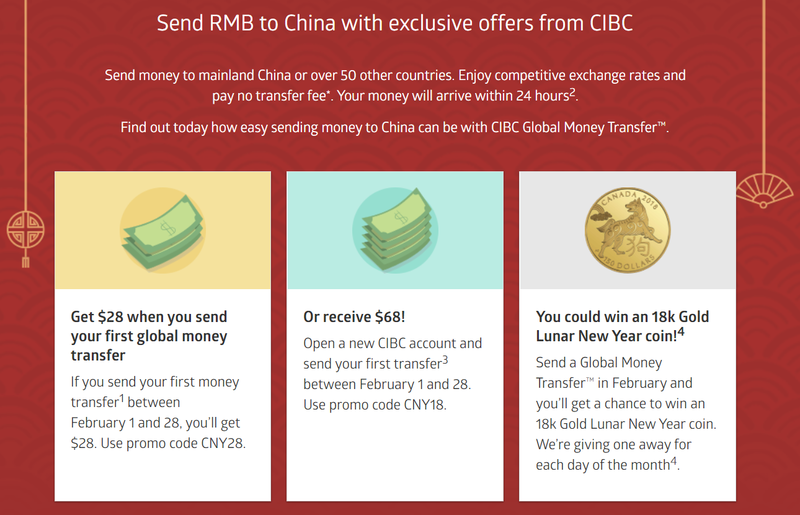 With CIBC Global Money Transfer service, you can send money to over 50 with competitive exchange rates and no transfer fee. Your money will arrive within 24 hours. If you send your first money transfer1 between February 1 and 28, you’ll get $28. Use promo code CNY28. Open a new CIBC account and send your first transfer between February 1 and 28. Use promo code CNY18. Send a Global Money Transfer in February and you’ll get a chance to win an 18k Gold Lunar New Year coin. CIBC is giving one away for each day of the month. Swoop is a Canadian ultra low-cost carrier owned by WestJet. It was officially announced on September 27, 2017, and will tentatively begin flying in June 2018.